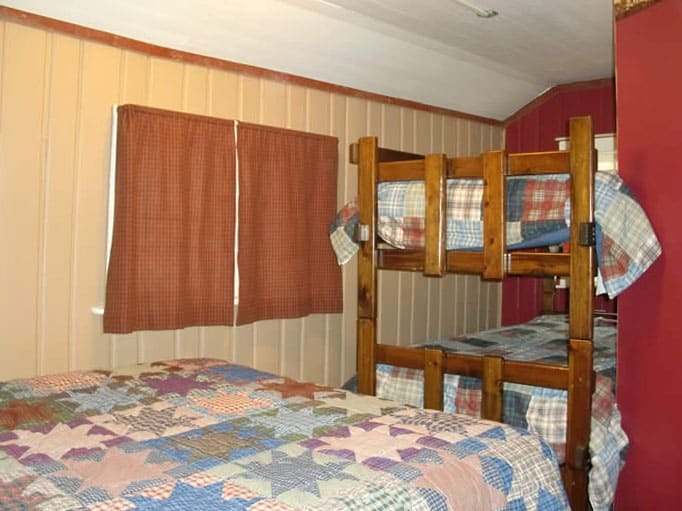 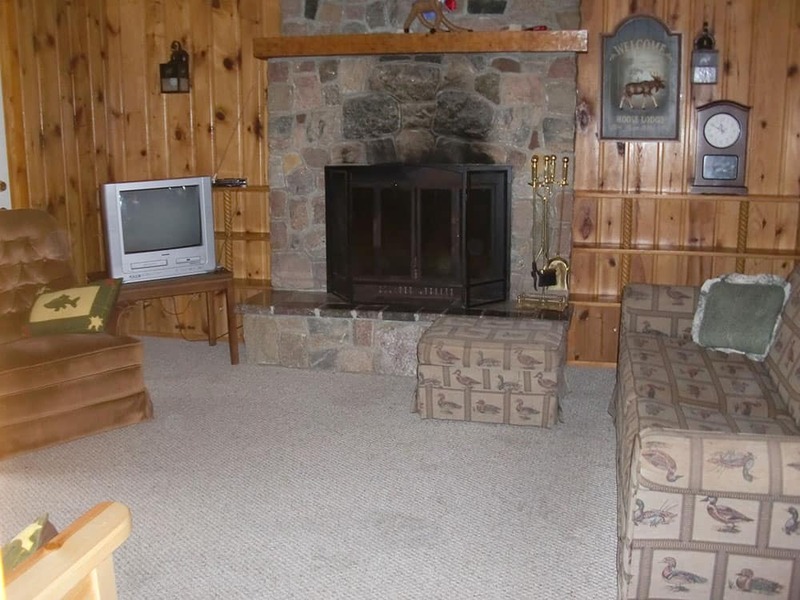 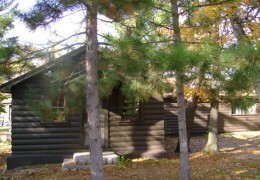 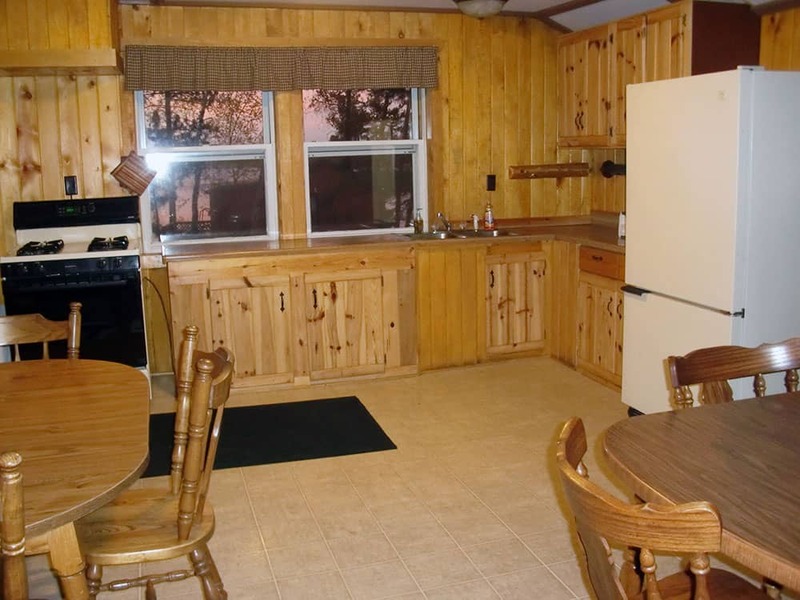 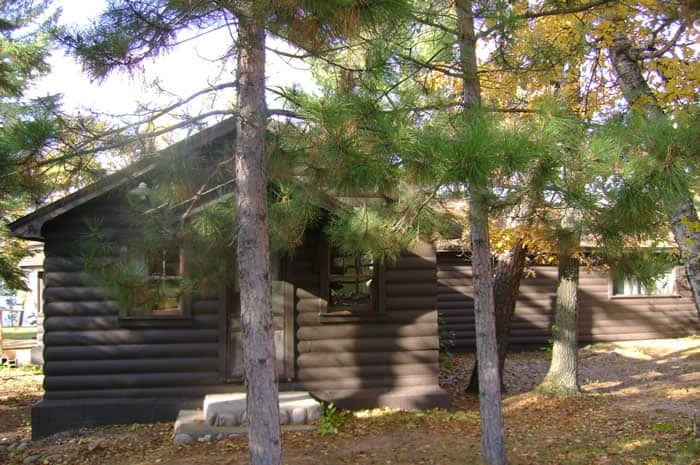 Our largest cabin, this roomy three-bedroom cabin has a nice, big kitchen, a living room with fireplace and a three-season porch with a nice view of the lake. 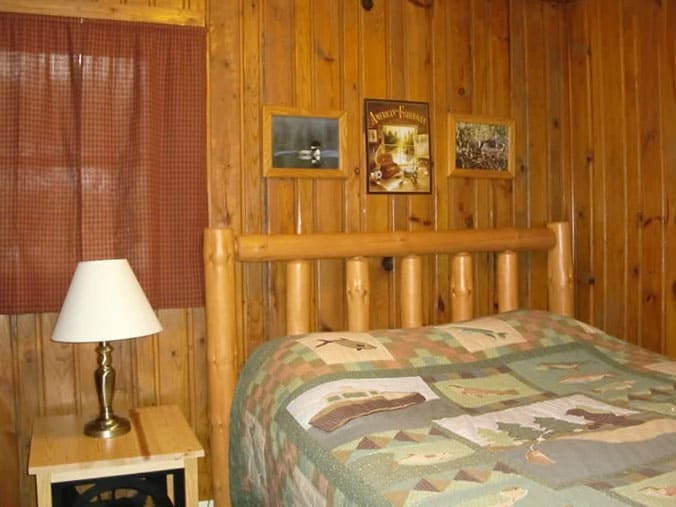 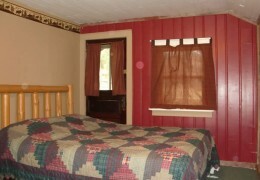 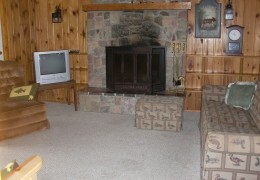 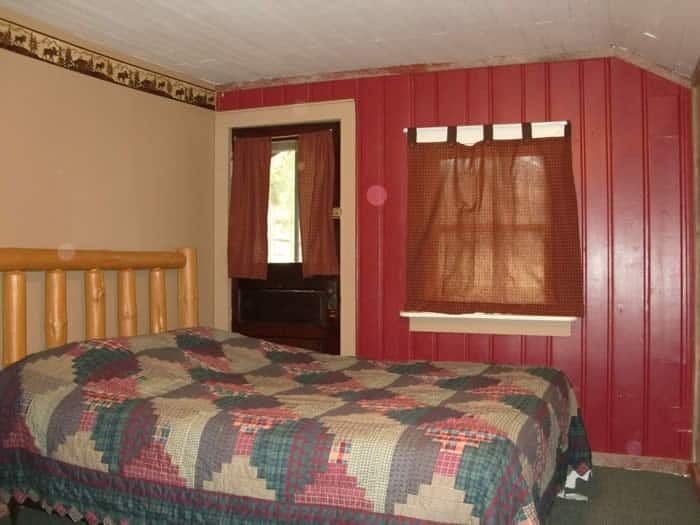 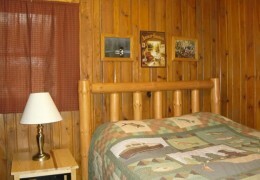 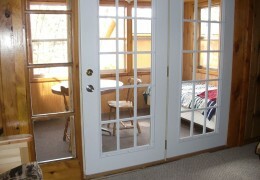 This cabin has a newly remodeled full bath with tub and shower and VCR/DVD. 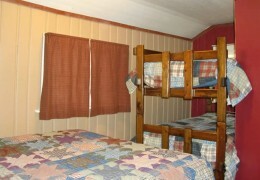 It has three queen beds, a set of bunk beds and a futon and sofa-sleeper in the living room. 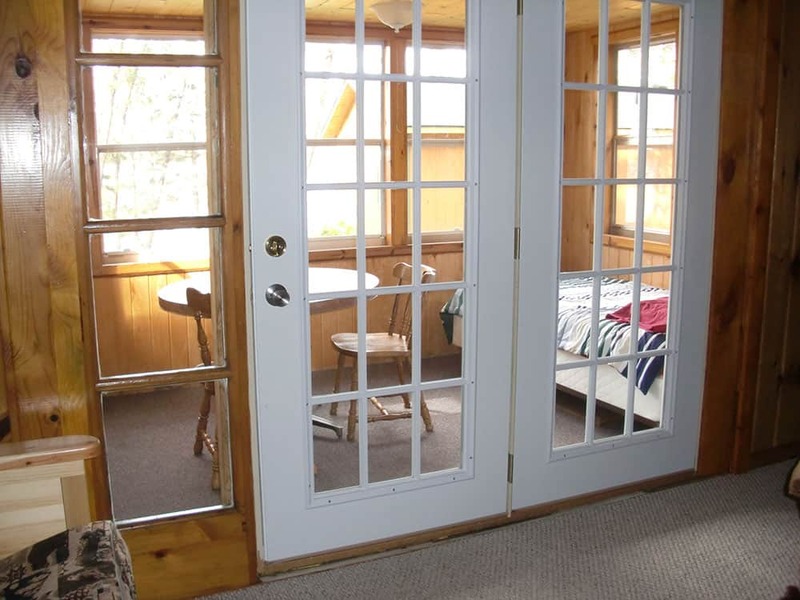 This cabin is great for a large group.